Gloria in excélsis Deo et in terra pax homínibus bonae voluntátis! Republican Sinn Féin extends fraternal New Year greetings and solidarity to our friends, supporters and comrades both at home and abroad. The coming year will be one of ongoing struggle for working-class people in Ireland and across the world. Ireland’s struggle for national independence is not an isolated one but is part of the wider fight against imperialism across the globe. It is this realisation which must inform our thinking and also gives us heart as we once more take up the banner of Irish Republicanism in 2014. The recent Haass talks were served up by the British and Stormont political establishments as a distraction from the real issues. No amount of political window -dressing can disguise the fact that the Six-County State is an abnormal and undemocratic political entity. The right to political protest is denied to those who refuse to conform to the parameters of the Stormont Agreement. For the Stormont regime and its British masters civil rights only apply to those who accept the writ of the British Crown in Ireland. The age-old methods of repression continue to be used, such as internment without trial and internment by remand. Special laws and special prisons are used to silence and contain any voices that advocate any alternative to the failed partionist system. We extend our greetings to the Republican prisoners in Maghaberry who refuse to allow themselves or their struggle to be criminalised and pledge them our continued support. We call for the unconditional release of Martin Corey who in now entering his fourth year as a political hostage, imprisoned without trial or sight of any evidence against him. We believe that ÉIRE NUA provides the best means of breaking the logjam and creating the basis for a just and lasting peace. It is a political programme that is based on true All-Ireland democracy empowering people in a real way in contrast to the undemocratic sectarian carve-up that is Stormont. In the 26 Counties the economic and social struggle must be an integral part of the drive for a New Ireland. The policies of the Leinster House regime are designed to force our young people to emigrate and to disenfranchise those who remain at home. The social infrastructure of the 26-County State has been sacrificed in order to prop up the neo-liberal economic system of the EU. As we approach the centenary of the 1916 Rising the only fitting way to commemorate that historic event is to complete its task by re-establishing the All-Ireland Republic as set out in the 1916 Proclamation. In this decade of centenary our history has become part of the battle-ground as the 26-County Administration attempts to politically neutralise the coming generation by denying them access to the inspiration of their revolutionary history. This year we will commemorate the centenary of the founding of Cumann na mBan and the landing of arms in Howth and Kilcoole as part of the build-up to 2016. We are engaged in a fight not only against political and economic imperialism but also a cultural imperialism which seeks to rob us of the very markers of a separate identity such as our language and history. In the forthcoming 26-County Local Elections our candidates will be standing on a revolutionary and truly democratic programme. Due to the undemocratic political test oath Sinn Féin have been precluded from contesting local elections in the Six Counties. This effectively disenfranchises those who wish to support candidates standing on a truly Irish Republican manifesto. We in Republican Sinn Féin stand unequivocally for the re-establishment of the All-Ireland Republic of Easter Week. We reject any dilution of Ireland’s right to national independence. In our political, social and economic policies ÉIRE NUA and SAOL NUA we have a programme that realises the dreams of the revolutionary generation of a century ago and importantly meets the needs of the Ireland of the 21st Century. День убийства в 1987 году John O'Reilly и Thomas "Ta" Power, офицеров INLA. Подробнее Вы можете прочесть под этой же датой в новостях 2004 года. Читающие по-английски и желающие видеть фотографии могут коснуться свечей. 30.01.14 42-я годовщина "Кровавого Воскресенья". В 1987 году в этот день неизвестными в своём доме на глазах у сыновей была убита Mary McGlinchey, мать троих детей, бывшая участница INLA и жена бывшего офицера Армии Dominic McGlinchey, также убитого через семь лет. Читающие по-английски и желающие видеть фотографии могут коснуться свечи. В этот день двадцать три года назад был убит доброволец INLA Neil McMonagle. Более подробные сведения можно прочесть под сегодняшней датой в новостях 2004 года. В этот день двенадцать лет назад был убит доброволец INLA Dominic McGlinchey. По крайней мере один человек задержан в ходе сеходняшнего полицейского рейда в городе Craigavon, округ Armagh, Северная Ирландия. Сообщается, что жители нескольких домов были эвакуированы в ходе проведения операции. Сообщается, что в ходе операции были использованы вертолёты и она связана с ранее обнаруженным взрывным устройством. 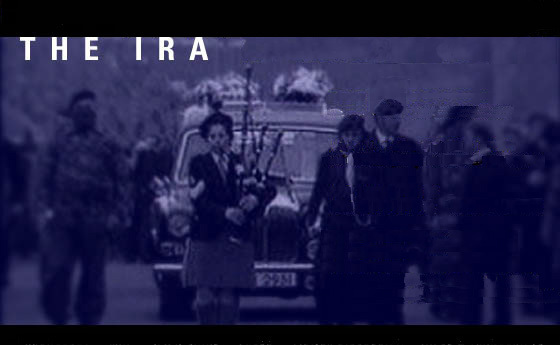 В 1978 году в этот день, стрелком-лоялистом из Ulster Volunteer Force на Armagh Road в г. Portadown был убит Thomas Trainor, офицер INLA. Его мать Dorothy и брат Ronnie (также доброволец INLA) были убиты лоялистами в 1975 году. Сегодня, чтим память святого Патрика, принесшего свет Веры в Спасителя на прекрасный Зелёный Остров... Молимся о заступничестве святого Патрика за всех нас и за прекрасную страну,истерзаннную столетиями кровавого Конфликта. Вспомним Героев ушедших, и да сияет им Вечный Свет! Пять участников Republican Sinn Féin ( политическое крыло CIRA) были арестованы в городе Lurgan, округ Armagh, Северная Ирландия в ходе совместной операции RUC/PSNI (Полицейская служба Северной Ирландии) и MI5 (спецслужба Великобритании). Спикер Republican Sinn Féin заявил от имени организации, что он не сомневается в политически-мотивированном характере данных арестов, целью которых является желание испортить приготовления Республиканского сообщества к празднованию Пасхи. "Не бойтесь, ибо знаю, что вы ищете Иисуса распятого; Его нет здесь — Он воскрес… Подойдите, посмотрите место, где лежал Господь"
Тюрьма Maghaberry, Округ Antrim. Северная Ирландия. As Republican prisoners we abide by a strict etiquette of honour, honesty and discipline. At all times we have honoured our word and have given the prison regime room to implement their side of any agreement we reached with them. To date the prison regime have not implemented the agreed end to controlled movement amongst other things agreed upon, thus proving they are not to be trusted and their modus operandi is the criminalisation of Republican prisoners. The latest attempt to criminalise Republican prisoners concerns visiting arrangements. At present POWs can sit in a “booth” beside their families, hold their children and maintain strong family relationships. The prison regime is working now on changing the outlay and number of tables available for a visit. They plan to have a metal round table, with one seat for prisoners and three seats at the other side of the table for visitors, this will be completely open plan. The seat for prisoners will even go as far as being a different colour, no longer will families be able to sit together, privacy will be completely removed and replaced with a sterile and clinical atmosphere resulting in a formal style visit of prisoners with their families and friends. Many prisoners have children and this will seriously impact on the quality time they can spend with them and could lead to an estrangement, having to visit their fathers in such an alien, unnatural and restrictive environment. We, as Republican prisoners will not be criminalised and so cannot, and will not, accept this arrangement. We will refuse all visits that are conducted in this manner, as we will not allow the prison regime to humiliate us or our families. We would point to the will of Republican prisoners in the past who previously asserted their rights as political prisoners not to be criminalized; like those before us we are prepared and we will not capitulate or be forced into an unacceptable regime at the prison. The proposal stops short of imposing a partition between prisoners and visitors. We believe this is only the start of phasing in a complete criminalisation policy against Republicans. We will not be found wanting in our resistance and we urge the public to get behind us in this campaign. The work has already begun on changing the visiting room, this policy could be implemented in the next couple of weeks and so we urgently need support and the Republican people to highlight this for us. 18. Народження ж Ісуса Христа сталося так. Коли Його матір Марію заручено з Йосипом, то перш, ніж зійшлися вони, виявилося, що вона має в утробі від Духа Святого. 19. А Йосип, муж її, бувши праведний, і не бажавши ославити її, хотів тайкома відпустити її. 20.Коли ж він те подумав, ось з'явивсь йому Ангол Господній у сні, промовляючи: Йосипе, сину Давидів, не бійся прийняти Марію, дружину свою, бо зачате в ній то від Духа Святого. 21. І вона вродить Сина, ти ж даси Йому йменна Ісус, бо спасе Він людей Своїх від їхніх гріхів. 23. Ось діва в утробі зачне, і Сина породить, і назвуть Йому Ймення Еммануїл, що в перекладі є: З нами Бог. 24. Як прокинувся ж Йосип зо сну, то зробив, як звелів йому Ангол Господній, і прийняв він дружину свою. 25. І не знав він її, аж Сина свого первородженого вона породила, а він дав Йому ймення Ісус. 30.01.15 43-я годовщина "Кровавого Воскресенья". Желающие знать больше и видеть фотографии могут коснуться свечи. Желающие знать больше могут коснуться трилистника. Будучи по природе своей несколько снобом я достаточно часто испытываю по многим своим проектам чувство "вот взял горсть бисера и метнул...". Не скрою, мне приятно, когда российские студенты пишут письма и просят использовать материалы сайта в своих дипломных работах. Но вот когда я получаю письмо с благодарностью из Белфаста, причём часть добрых слов написана на Gaeilge (на этом языке ирландцы обращаются только к "безусловно своим")- я понимаю, что не зря живу. Много лет, с 2002 года от Р.Х., я изучал Конфликт, осуществлял переводы и по мере сил поддерживал актуальными материалы данного сайта, первого в русскоязычном сегменте Интернет. Ныне Конфликт явился в мой дом, в мою собственную страну. Выходя на улицы свого города, я узнаю знакомый мне Белфаст. Ольстер - то единственное место в Европе, где вот уже около столетия ведут Войну, сражаются и гибнут последние на Земле Христианские Воины. Они ещё понадобятся нам, чтобы прийти на помощь во время Последней Битвы с Антихристом. Присоединиться к Ним и сражаться - большая честь для каждого мужчины и Христианина. Примем Волю Господню с гордостью и смирением. По причине моего непосредственного участия в Сопротивлении сатанинским планам Имперского Агрессора, на время до окончания Конфликта и выдворения окупантов и коллаборантов с териитории моей страны, сайт переходит в архивный режим. Я с особой искренностью и пожеланиями всего самого доброго благодарю всех читателей, посещавших сайт все эти годы. Agnus Dei, qui tollis peccata mundi, miserere nos!